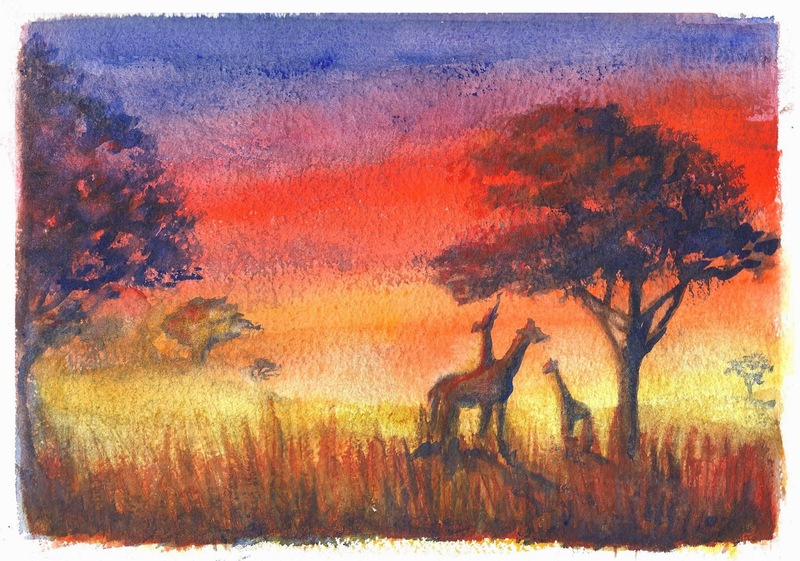 The second African sunset that I did in my watercolor class features the rare short-necked giraffe. These animals are so rare, they only exist in this painting! I used the St-Armand watercolor paper again. It’s a very challenging paper, but I’m starting to see what it does best and what it doesn’t do at all, lol. My teacher tried a piece and she made it sing!